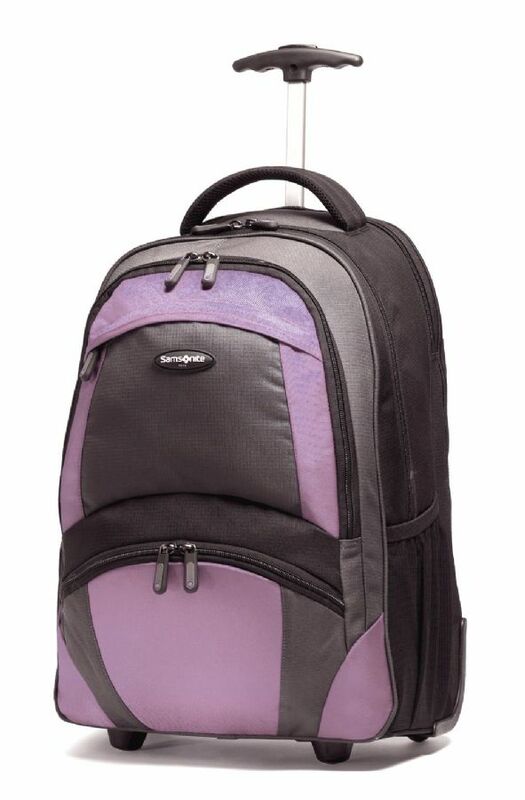 This is the summary of consumer reviews for Samsonite Wheeled Backpack. The BoolPool rating for this product is Very Good, with 4.20 stars, and the price range is $59.29-$109.99. Some users find this backpack to be a little heavy and also a bit small as it does not fit a 15 inch MacBook Pro in the laptop compartment. Also the single pole handle is a little unsteady over curbs. 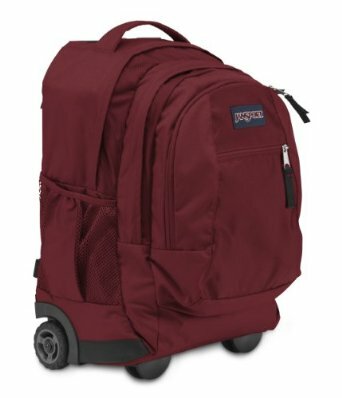 Overall, Samsonite Wheeled Backpack is a durable and good quality backpack from a reputed brand name in the world of luggage and bags. It measures 21" x 8" x 14". Great quality build as expected from Samsonite. The quality is good but I've expected a bigger size. so far so good, great quality !! The extention arm to wheel the pack is of low quality and I don't recommend this product. The quality is good and the space is big enough for my usual travel. It may be a little bigger. We researched the options available and decided on the Samsonite brand for the quality and reputation for durability that the brand name holds. But the empty bag is a little heavy. Bought it two days ago and returned since it doesn't fit my macbook pro 15. Perfect ! It's a nice item. Very nice roomy briefcase with nice construction and well made wheels. This really fits my needs in that it's the perfect size, light weight, durable and will fit nicely in the overhead bin of an airplane. 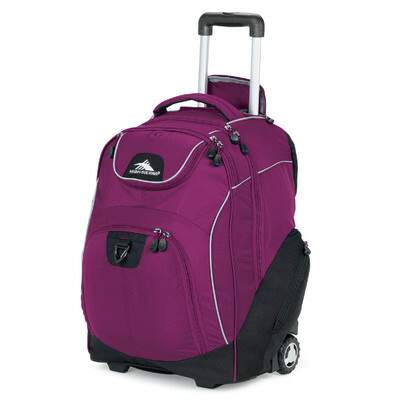 perfect size, the purple color gives it a little female touch, works great. I travel a lot, and this backpack is perfect for a weekend trip. It works very well and (so far) has held up nicely. its perfect minus one detail: the strap compartment has to be completely unzipped to use the straps. I use my Samsonite backpack with wheels to carry music back and forth from my house to my church and it's perfect! Good brand, High quality, Cheap, Smart, Practical and durable. 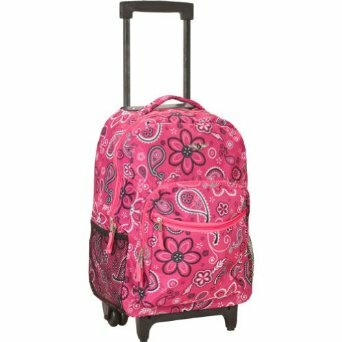 I travel for long periods of time, so having this size laptop bag with wheels and big comfortable shoulder straps has _really_ come in handy. The handle to pull this bag with wasn't very thick. The single pole handle is a little unsteady over curbs, but since every double pole handle I've is either jammed or broken altogether, I'm happy with it. bag works fine and fits well under airplane seat, but it's smaller than its predecessor; hope the screws stay in handle from much use of traveling at airports. 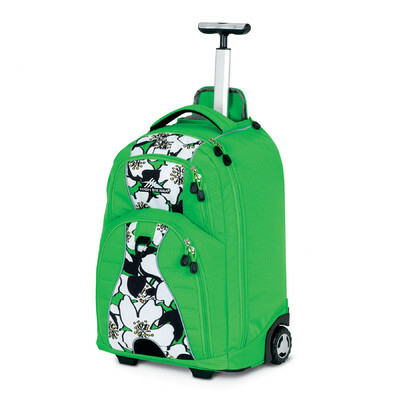 It rolls really good, the handle is slightly rubberized and gives a good grip. Love it...the only thing was that one of the zipper's handle came off. First of all, my handle kept on getting stuck, so it was very hard to pull in and out. One day around 2 weeks after I got this backpack, I was trying to push the handle back in, and it snapped. :( Overall, I think you could do a little bit better than this product. 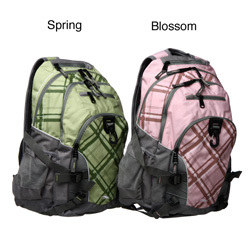 Has multiple pockets and compartments for laptop, books. 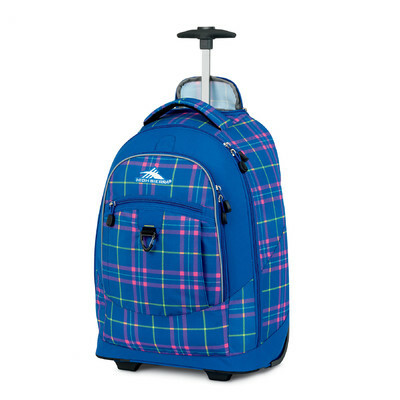 It's the perfect size and has a padded compartment for a laptop. 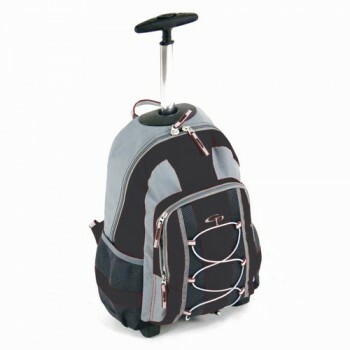 This a very nice laptop backpack with wheels.Its good for all laptops sizes..i'm using for 15" display size. Compact, yet has many compartments to house everything including a special computer compartment. This bag has many compartments nd holds many things,. 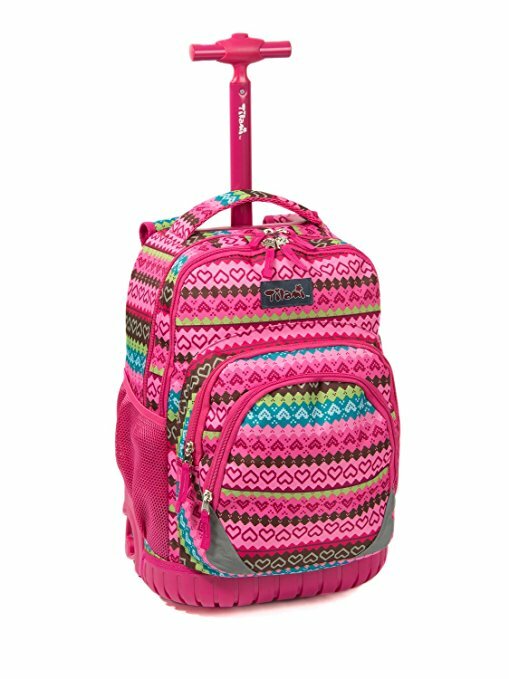 This backpack features numerous pockets and compartments with ample space to hold laptops, tablets and other electronics. it's a lot of compartments for school. Thrs a flap which covers the shoulder straps and its locked by zipper when used with wheels.When it needs to be carried on shoulder, the flap comes down,covers the wheels and get stuck with velcro.Only this velcro looks a tacky thing in otherwise well build laptop bag. Super bag with fairly good storage Users love this bag Price is competitive and the bag is easy to use. love to use this bag... thanks. This bag is huge, and fits all my books better than any bag I've ever had before. I've a cheap laptop bag that water runs off of easily, but with this bag, it instantly soaks through. If you're looking for an easy to carry bag pack, this's the perfect choice!. Super bag with fairly good storage. Price is competitive and the bag is easy to use. Overall, it's a good bag. Anyways, it's an okay bag. the bag has some threads. To this day, the bag is holding up well into our now 5th grader's hands.